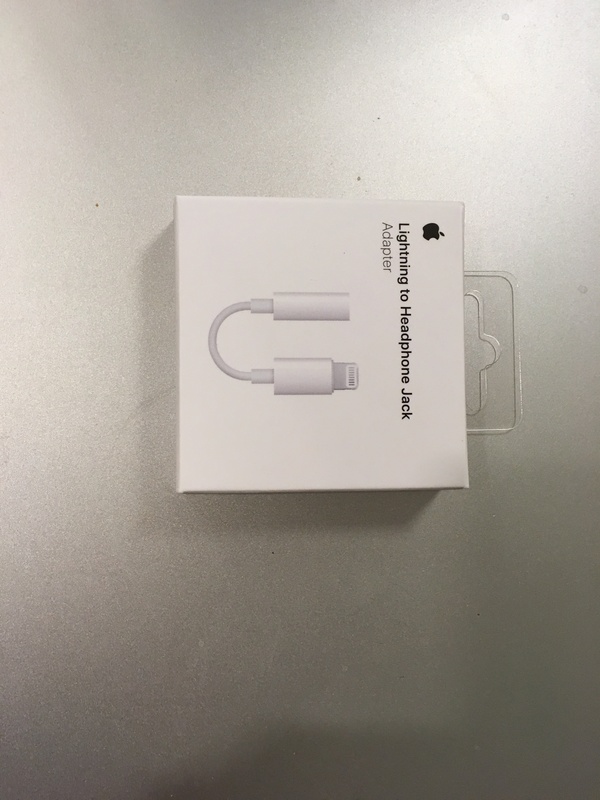 I ordered a Lightning to 3.5mm adapter this weekend, and it just arrived today. I'm tempted to tear that baby open, but I don't want to spend another $9 on something I don't really need, and we should start getting some teardowns in the next few days from other sources. Conducted on an iPhone SE, with an Apple 3.5mm EarPod attached to the 3.5mm to Lightning Adapter. 1. The adapter appears to be 100% compatible with the 3.5mm EarPod's controls. The mic works with Siri. 2. Only one port is active at a time for audio, either the headphone jack or the Lightning port. 3. 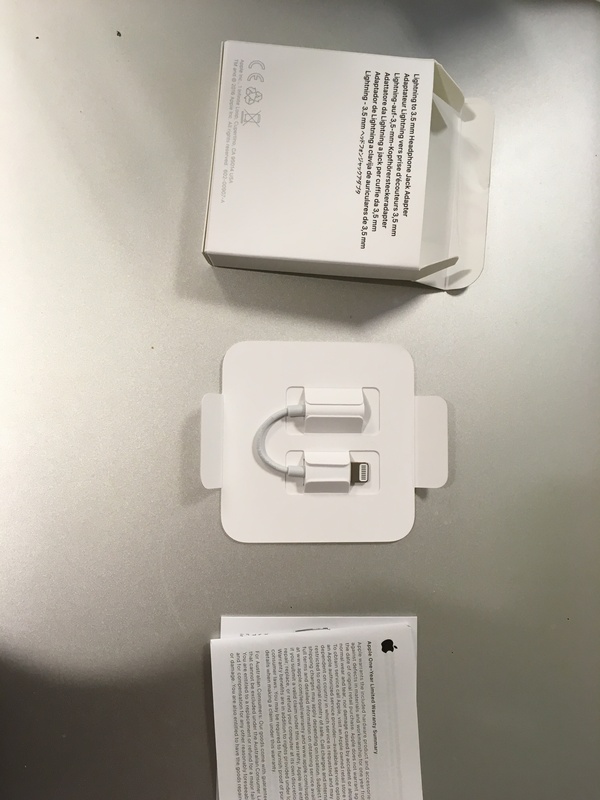 The Lightning Adapter is NOT compatible daisy chained through my Lightning HDMI adapter passthrough. 4. The sound quality is virtually indistinguishable. The Lightning adapter might be slightly louder, but it was hard to tell. I tested various types of music from jazz, to classical, to pop, to hip hop, and again I couldn't really tell the difference between them. Lows were consistent, and highs were likewise crips and clear, with no distortion or any digital artifacts. If I had to guess, I'd say that they used identical chipsets to the SE. 5. The adapter itself seems quite fragile. The cable seems thinner than the EarPod cable, and it seems quite prone to breakage at the strain relief when pulled at a right angle, whereas the EarPods seem to have much more give. The connectors are larger than I expected, particularly the 3.5mm connector. And the hard edges make it seem that much larger and clumsy. I know it's contrary to the design language, but rounded edges like the mic/controls would have been preferable here, especially when shoving in a pocket or bag where they could get caught on things. It's pretty amazing though, as the 3.5mm jack housing appears to be considerably larger than the Lightning housing by volume. 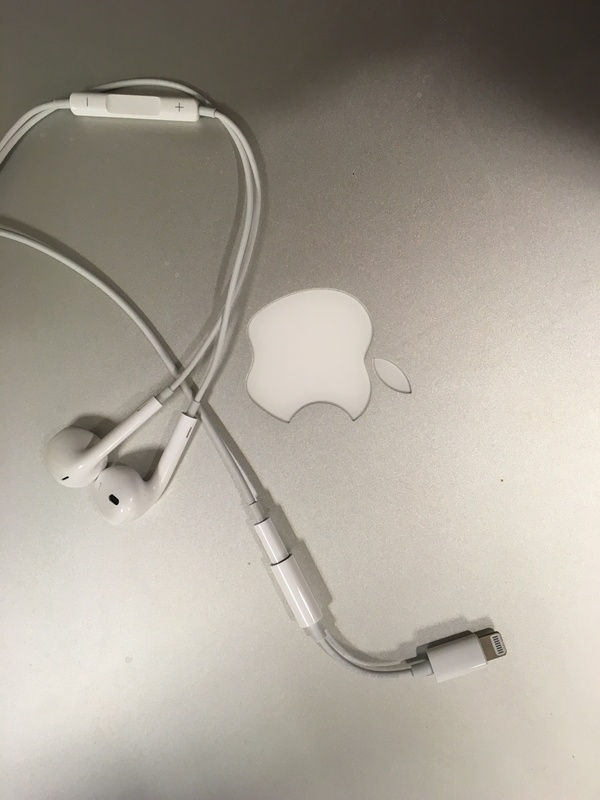 The Apple 3.5mm EarPods are connected on the right, the 3.5mm Lightning adapter on the left. While it doesn't work with the Apple HDMI Video Adapter passthrough, it does work just fine on the Lightning Dock passthrough. 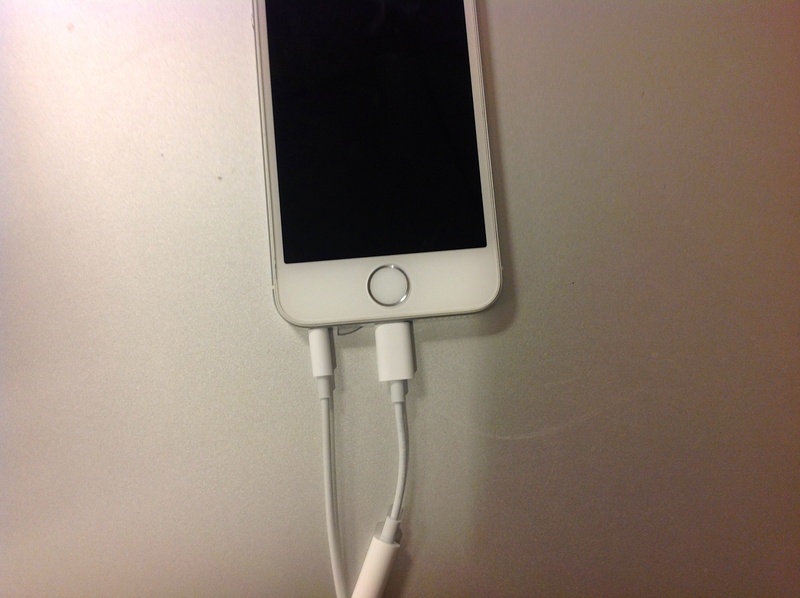 This does make me wonder if the Belkin splitter adapter will support daisy-chaining Lightning accessories. Looks like a stereo dac, stereo amp and a mono-adc in that chip. 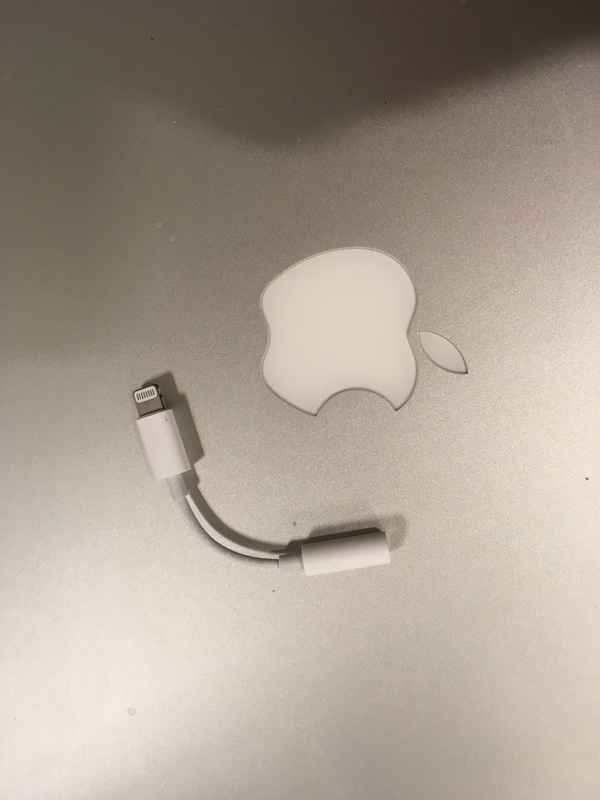 The IC on the reverse side is likely the standard one that all lightning cables have. Unknown manufacturer and specs. I wonder if it's another custom chip like the W1? Hard to believe some people here were actually suggesting that this would be an analogue passthrough from the iPhone 7 internal DAC.